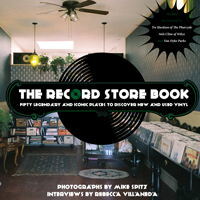 In “The Record Store Book” and “Queen City Records,” Mike Spitz (University of Cincinnati, 1989) shares stunning full-color photos and little-known facts about these still existing and legendary places to buy music. Both books include interviews from independent record stores. Spitz started spinning the idea of creating a book featuring record stores when he spotted the popular “Store Fronts: The Disappearing Face of New York” book in a Los Angeles bookstore. Then, while visiting family in his hometown of Cincinnati he began to zero in on the record store idea. As a boy, Spitz frequented Everybody's Records in Cincinnati and Record Theater where he first bought his records. His music collection grew as he inherited records from his older brothers including albums from Jethro Tull, Elton John and The Who. Since he lived in Los Angeles, he narrowed his subject matter to record stores in the city and found a local publisher. Local record store owners greeted Spitz with enthusiasm. Spitz, who landed in Los Angeles by way of Paris, New York and Chicago, is a licensed clinical social worker who works with kids during the day and works in private practice two nights each week. He’s never tried to make a living in the arts, but the arts play heavily in his life. “I just try to have a steady gig and then do this stuff around it. Every day, I go to Coffee Bean for about an hour and I work on my screenplay, or I used to go out and take some pictures. I'll do it on the weekend or if I do a record store project, I have to carve out a week or a few weekends to do that and then come back,” said Spitz. His career has included acting in theater, commercials, and independent movies. 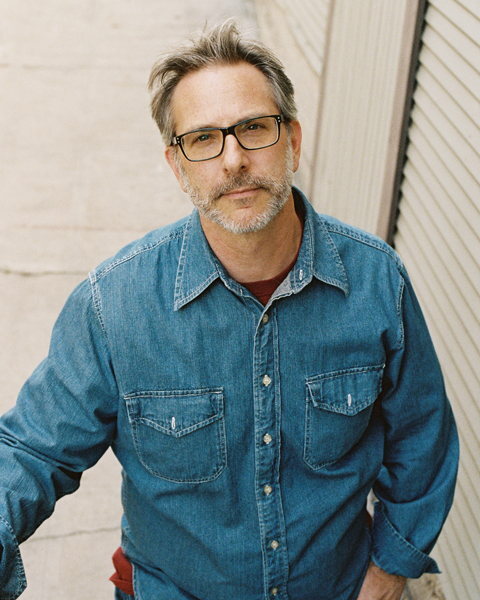 He has written, directed and photographed several short films that have appeared in film festivals worldwide and on international television and he has self-published three books of photography.